NC Kombuchary is available at some of the finest tap houses, bars, breweries, and events… Come back regularly to find out where and check out some of our current and past locations below! 1849 Brewing Co. is ran and operated by a father-son duo dedicated to creating high quality American ales and other modern and traditional styles of beer. NC Kombuchary was lucky to be present for the launch party, supplying them with some delicious Kombucha on tap! Come get your taste today! Established in 2016, Grass Valley Brewing Company is a small, locally owned brewery in Grass Valley, CA. We are located right in the heart of historic downtown Grass Valley. We chose this location because we want the brewery to be a part of the community and have the community use our location as a gathering spot. We are a 15 barrel brewery that produces a variety of classic and innovative beers… AND now carrying NC Kombuchary kombucha! 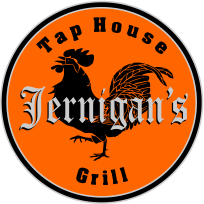 Jernigan’s features fresh, draft beers, delicious handmade food and sports on our big screens. Also, NC Kombuchary on tap, don’t miss out! Heartwood seeks to nourish the community with affordable, healthy food while supporting local farmers whenever possible. We feature a simple menu that showcases high quality, locally sourced organic ingredients. And, of course, NC Kombuchary! They are dedicated to providing great service and the best whole, organic food we can find. Of course we don’t have any trans-fats, artificial coloring, artificial flavoring or man-made preservatives. We do these things and more for our families, our customers, and our planet. One of those things, is carrying the delicious NC Kombucha! Health Food Store in Grass Valley, California with the finest products; including NC Kombucha! They’ve meticulously curated our menu to please all palates. Choose from local sweets, treats and drinks or go abroad with our revolving wine selection… and don’t forget the popcorn while you’re there. Oh yeah… AND NC Kombuchary! They look forward to providing you the best service and the greatest possible products we can. We offer 30 taps of constantly rotating craft beers, great local wines, and great food to compliment both. Plus we love dogs, bring your furry friend along to our dog friendly patio. As we grow, it is our hopes that we become embedded as a staple in Grass Valley and Nevada County because we love our community. And, they will help you LOVE NC KOMBUCHARY’S kombucha! The Pour House wants to strive to make The Pour House your first choice for beer ,wine and a live music venue. So go grab your dancing shoes and come on down! While you’re there, have a drink of NC Kombuchary! At Local Culture we are committed to cultivating live foods for living well. To support our thriving communities, we ferment quality organic ingredients from locally sourced agriculture. Loaded with cultured macrobiotics, our krauts will make both your belly and palate smile. Also, the NC Kombuchary kombucha will bring a smile! Our new restaurant is a loving result of passion for spreading healing. This is our silent revolution where we say no to poison and welcome to our lives, food that heals our bodies and mind. 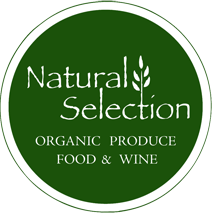 We are committed to provide organic, non gmo, and what we serve, we eat. NC Kombuchary provides a product that will compliment this amazing companies philosophy! Grass Valley's Finest Ballroom. Call Today to Schedule Free Tour. Highlights: Wide Array Of Specialized Services Available, Onsite Rentals Available, Experienced Staff, Offer Elegant Gathering Space, Easy Freeway Access Available. NC Kombuchary is now available! Vela is a day retreat serving Grass Valley, Nevada City and surrounding areas. We offer professional massage & all natural facials in spacious, beautiful rooms. Our massage and facial services include a complimentary steam sauna session in our communal, outdoor facilities privately set amongst the trees. We also offer private Infrared Sauna sessions at an additional charge. We can accommodate up to 7 massages at a time allowing you and your friends to be in a state of bliss together. Great for bridal parties, birthdays or just because. NC Kombuchary is now available to Vela’s clients! South Pine Cafe serves breakfast, lunch and beer at both of our locations. We are located both in Grass Valley and Nevada City, California. We are dedicated to serving freshly prepared and healthy dining options. They are also now serving NC Kombuchary! The Pour Choice is Auburn, California’s first and only craft coffee bar and tap room. It is the marriage of all things craft with the aim of bringing people together, those in the shop and those locally and around the world who are creating the delicate, robust and unique notes found in the 28 taps at the bar. Come make pour choices with us! Also, come get some NC Kombuchary kombucha! The Golden Era location has been serving cocktails, spirits & beers since 1867 in the heart of the gold country. And now, they carry NC Kombuchary as well! A Slow Food inspired dining experience where the food we prepare is produced by and reflects the community we serve. Our communal dining style creates a warm, intimate setting to explore our menu by sharing dishes with others. They now carry NC Kombuchary! We purchased the historic 5 Mile House, hoping to create an extension of the atmosphere cultivated at the taproom. We hope it becomes your local watering hole, your second dining room, your favorite place to meet family and friends, the place you come to at the end of a hard day for a great beer and tasty food. They also carrying the finest kombucha in the land, NC Kombuchary. Come to Meze and begin making memories of your own with great food that is good for you! And, have some great kombucha from NC Kombuchary!